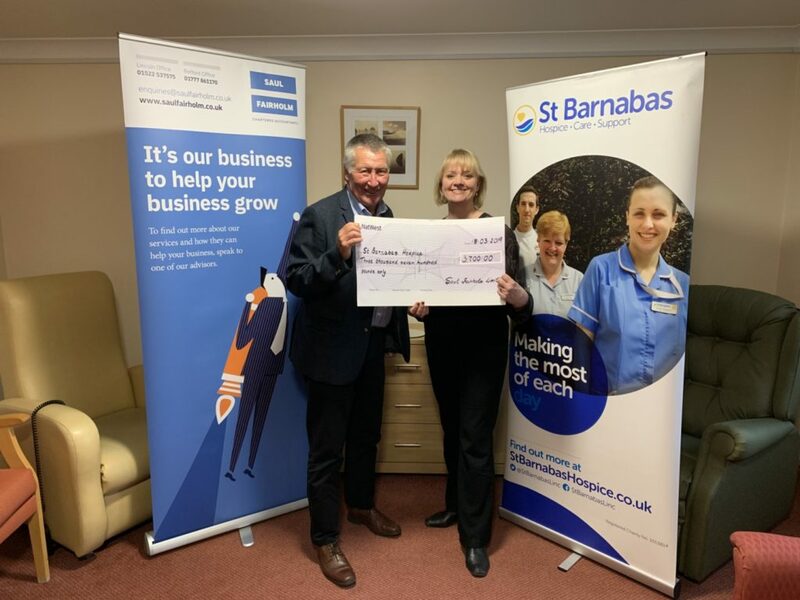 Saul Fairholm Chartered Accountants presented a cheque for a magnificent £3,700 to St Barnabas Lincolnshire Hospice raised through our fundraising activities last year. Activities included our ever-popular annual charity quiz and golf day. Pictured is Saul Fairholm Associate Neil McDowall presenting the cheque to Caroline Swindin from the hospice.